For a trouble-free move to Santee, Meathead Movers is the company for you! Our professionally trained student-athlete movers are ready to get you into your new Santee home. 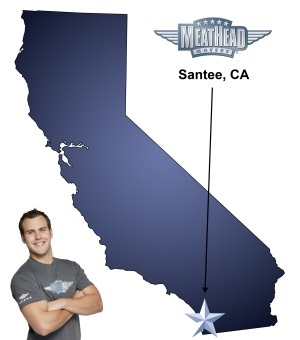 If moving to Santee is on your agenda, the professional team at Meathead Movers can help. Our experienced Santee movers can assist you with your entire transition and help you settle down in your new home or office in no time. With moving hassles out of the way, you will certainly be able to look forward to your new life in the gorgeous city of Santee. The city of Santee, nestled in San Diego County, offers its residents the rare blend of urban and country living at its finest. With rolling hills and beautiful lakes, living in Santee can be a refreshingly serene experience. Excellent schools, world-class amenities, athletic opportunities, recreational activities, and friendly neighborhoods are just some of the positive attributes of this quaint town. As one of the safest cities in the region, Santee is perfect for leisurely strolls along the San Diego River while taking in sights of exquisite flora and fauna. With pristine climate conditions and endless days of sunshine, moving to Santee can help you experience the outdoors in a whole new light. Enjoy a game at the Sportsplex USA Santee or golf in the nearby Carlton Oaks Golf Course. Best of all, do not forget to sip your favorite glass of wine while enjoying great music at the popular Santee Wine and Bluegrass Festival, held every summer. At Meathead Movers, we are passionate about moving. Rather than treating your move as just another event, we go above and beyond to ensure that the entire process is as organized and seamless as possible. Moving can be a taxing experience. Leave it to our Santee movers to take care of all your valuable belongings with precision and attention to detail. Whether you need packing help, assistance with loading and unloading, transportation services or storage solutions, we will offer the personalized level of service that is just right for you. Our moving company specializes in local, long-distance, and commercial moves to, from, and within Santee. We also provide reliable packing, storage, on-site relocations, and our distinctive moving concierge service, which connects you with local service providers. Our well-trained and experienced Santee movers are student athletes from reputable schools, such as San Diego State University and University of California San Diego. Our rigorous hiring process includes an extensive background checks, written, oral and physical tests and a drug-screening. You can be assured that your move to or from Santee will be a relaxing and hassle-free one, with complete assistance from our dedicated team. We offer a transparent approach to moving designed to give you the answers you need. Contact our friendly team, seven days of the week, and receive a free quote at no obligation to you. Moving to Santee? Here are some helpful resources. Movers worked hard and very efficient. Also very considerate and polite. Staff is friendly, professional, and lives up to their expectations. The actual movers were excellent. The estimator really put these guys in a bad spot. I was told it would be on the low range of what was quoted, but the estimator really under estimated the job. They really worked hard, but the actual cost was the maximum I could be charged. Too bad because I really wanted to tip the movers, but just didn't have the money after paying about $400 more than I expected. Everything very nice and honest.